The MindShift podcast is back for a new season of stories that explore innovation in education. 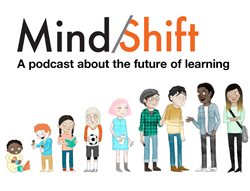 Over the course of six new episodes, hosts Ki Sung and Katrina Schwartz, who also produce KQED’s MindShift blog, will introduce listeners to a fascinating group of educators, researchers, parents and students who are developing effective strategies to improve how kids learn. The season gets underway August 28, with new episodes publishing every other Tuesday through November 6, 2018. Listen to the season trailer here. It’s easy to see a child’s education as a path determined by grades, test scores and extra-curricular activities. But genuine learning is about so much more than the points schools tally. The third season of the MindShift podcast explores the intangible, and often overlooked, elements of academic success: emotional safety, trust, and relationships. The first episode explores how home visits by teachers can transform parent-teacher relationships. Typically, if parents want to speak with teachers, they come to school for a conference or to see work on display on back to school night. But educators at Luther Burbank High School — and a host of other schools spread across the country — are beginning to visit their students’ homes to better understand their family lives and, in the process, build trust. These educators are helping parents see how they can effectively partner with teachers in their child’s education. Launched in August 2016, the MindShift podcast aims to improve learning for all. MindShift began in 2010 as a daily blog and has since grown its audience through social media, weekly email newsletters and the podcast series. Search for the MindShift wherever you get your podcasts, including Apple Podcasts, Google Play, Stitcher and the NPR One app. Or visit kqed.org/mindshiftpodcast to start listening. Can Inviting Teachers to Your Home Improve How Kids Learn? MindShift is sponsored by PBS Learning Media. MindShift explores the future of learning in all its dimensions via its blog, email newsletter, social media accounts and podcast series. MindShift examines how learning is impacted by technology, brain science, poverty and inequities, social and emotional practices, assessments, digital games, design thinking and music, among many other topics. We look at how learning is evolving in the classroom and beyond. And we revisit old ideas that have come full circle in the era of the over-scheduled child, such as unschooling, tinkering, free play, mindfulness, project-based learning and student motivation. We report on shifts in how educators practice their craft as they apply innovative ideas to help students learn, while meeting the rigorous demands of their standards and curriculum. MindShift has a unique audience of educators, parents, tinkerers, policy makers and life-long learners who engage in meaningful dialogue with one another on our sites. Visit kqed.org/mindshift for more. KQED serves the people of Northern California with a public-supported alternative to commercial media. An NPR and PBS affiliate based in San Francisco, KQED is home to one of the most listened-to public radio stations in the nation, one of the highest-rated public television services and an award-winning education program helping students and educators thrive in 21st-century classrooms. A trusted news source and leader and innovator in interactive technology, KQED takes people of all ages on journeys of exploration — exposing them to new people, places and ideas. Visit kqed.org for more.